Migraine, or extreme headaches, can steal the peace and tranquility from your life. Although it is a genetic disorder, environment, lifestyle, diet and hormonal imbalance also play a large role in how often you suffer from it. Individuals suffering from a migraine can feel completely drained at times. The fatigue often manifests into a throbbing ache on one or both sides of the head. In extreme cases, patients also experience nausea, vomiting, sensitivity to sound and light and even pressure on their eyes. 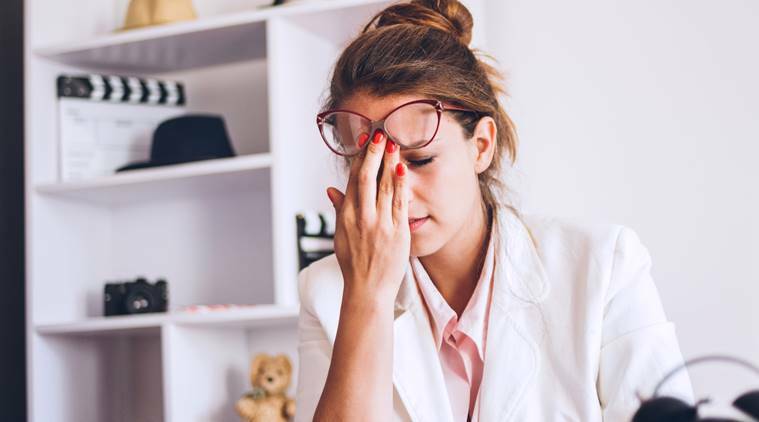 According to a study by University of Cincinnati Academic Health Center in 2016, eliminating coffee, consuming processed foods high in nitrites or monosodium glutamate (MSG) and enjoying too much alcohol are potential headache triggers for individuals battling migraines. Dr Shruti Sharma, bariatric counselor and nutritionist at Jaypee Hospital sheds some light on what really causes migraine. “A migraine is a common disability in adults as well as children and shows female predominance. Unilateral throbbing in the head, which ranges from moderate to severe intensity is a common manifestation of migraine — though it may present with a varied presentation,” she said. “Stress, sleep and environmental factors are important trigger factors in women and differ significantly from the factors for men. Trigger factors are frequent in migraine patients, and avoiding such factors may result in a better control of the disorder. Many women also witness migraine headaches right before or even during menstruation. Some also report hormone-induced migraines during pregnancy or menopause. This is caused due to the change of estrogen levels in women,” says Dr Sharma. People suffering from migraine often take the help of medicine but apart from that, there are few lifestyle changes too that can control the effect. Regular meals, staying hydrated and consuming at least eight glasses of water in a day, maintaining regular sleep patterns, downsizing stress and curbing the caffeine intake can surely be helpful. * Consume foods rich in magnesium such as green leafy vegetables (spinach and kale), fruits (figs, avocado, banana and raspberries), legumes (black beans, chickpeas and kidney beans), seafood (salmon, mackerel, tuna) and vegetables (peas, broccoli, cabbage, green beans, artichokes, asparagus, brussels sprouts). * Have calcium-rich food such as soybeans, white beans, lentils, almonds, whey protein. * Have food rich in complex carbohydrates, and fibre. * Have cooked green vegetables, such as broccoli, spinach, swiss chard, or collards. Also, cooked yellow vegetables, such as summer squash.